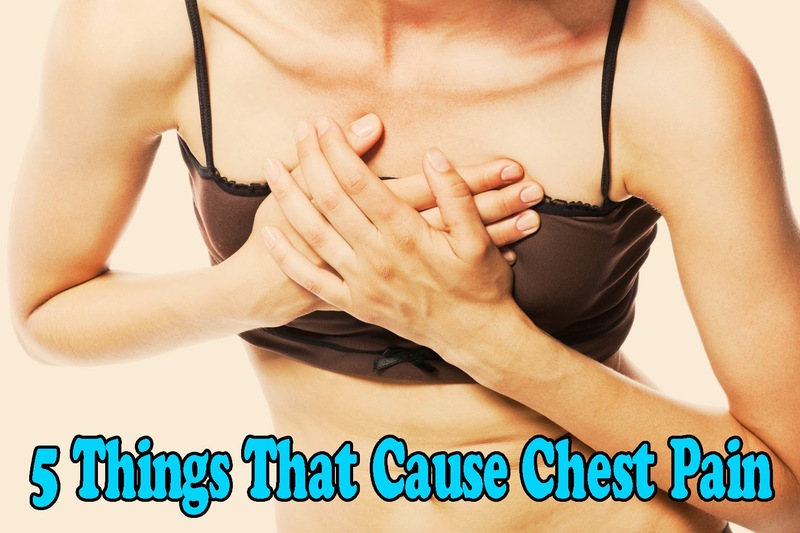 There are a number of different health-related situations that can result in chest pain. The occurrence of chest pain isn't an actual medical diagnosis. It's actually a symptom of an underlying health problem. For this reason it is always vital to learn what's causing the discomfort so that the root of the problem can be addressed. Chest pain is an important warning to seek medical attention. Heart complications. Chest pain or pressure can be a symptom of a heart attack. It can also be a symptom of heart disease and other heart-related conditions such as angina, myocarditis (inflammation of the heart muscle), pericarditis (inflammation of the fibrous sac around the heart), and aortic dissection (aneurism). High blood pressure (hypertension) can make your heart work harder than it should, which can result in feelings of tightness or pain within the chest cavity. Digestive problems. One of the most common reasons for chest pain is acid reflux (heartburn). Acid reflux is usually marked by a burning sensation in the chest (behind the breastbone) that occurs after eating. Other gastrointestinal problems that can cause pain in the chest include gallbladder problems, peptic ulcers (sores and irritations in the stomach lining), or a hiatal hernia (protrusion of the upper portion of the stomach into the thorax due to a tear or weakness in the diaphragm muscle). Lung conditions. Pneumonia (lung infection) can create the sensation of a deep ache within the chest. Pneumothorax (collapsed lung), pulmonary embolism (a blood clot located in the lung), pleurisy (inflammation of the membrane that covers the lungs), and pleural effusion (fluid build-up between the layers of tissue that cover the lungs) can all cause pain and discomfort in the chest. Lung cancer can cause a dull, persistent ache inside the chest. Asthma, bronchitis and other lung disorders can result in soreness in the chest and pain while breathing. Musculo-skeletal problems. Injured chest muscles, misaligned ribs, broken ribs, bruised ribs, pinched nerves, and Thoracic Outlet Syndrome (pressure on the blood vessels and nerves that causes pain in the upper chest near the neck) can all cause chest pain. Depending on the type of condition or injury, chiropractic treatment, physical therapy, or massage therapy may be recommended. Anxiety. Panic attacks and periods of intense fear can cause tightness and a painful feeling inside the chest. Panic attacks can affect people differently. Some individuals who experience panic attacks also have shortness of breath, nausea, and other symptoms that are similar to the warning signs of a heart attack. It is important to determine if the person suffering from anxiety also has an underlying heart condition. Let your doctor know if you have been experiencing pain, tightness, pressure, aching, or discomfort in your chest so that your situation can be correctly evaluated and the exact cause of the problem determined. If you have unexplained chest pain, crushing pain in the chest, chest pain that lasts longer than 5 minutes, or is accompanied by difficulty breathing, seek immediate medical attention. This article has been written for informational purposes only and is not intended as a replacement for medical care.